Protein synthesis is increased by several-fold in stimulated pancreatic beta cells. Synthesis and folding of (pro)insulin takes place in the endoplasmic reticulum (ER), and beta cells trigger the unfolded protein response (UPR) to upgrade the functional capacity of the ER. Prolonged or excessive UPR activation contributes to beta cell dysfunction and death in type 2 diabetes, but there is another side of the UPR that may be of particular relevance for autoimmune type 1 diabetes, namely, the cross-talk between the UPR and innate immunity/inflammation. Recent evidence, discussed in this review, indicates that both saturated fats and inflammatory mediators such as cytokines trigger the UPR in pancreatic beta cells. The UPR potentiates activation of nuclear factor κB, a key regulator of inflammation. Two branches of the UPR, namely IRE1/XBP1s and PERK/ATF4/CHOP, mediate the UPR-induced sensitisation of pancreatic beta cells to the proinflammatory effects of cytokines. This can contribute to the upregulation of local inflammatory mechanisms and the aggravation of insulitis. The dialogue between the UPR and inflammation may provide an explanation for the parallel increase in the prevalence of childhood obesity and type 1 diabetes. Pancreatic beta cell (pro)insulin synthesis is increased several-fold during acute and chronic stimulation by nutrient secretagogues. (Pro)insulin synthesis/folding takes place in the endoplasmic reticulum (ER), and beta cells trigger adaptive mechanisms to upgrade the functional capacity of the ER to face increasing demand . These mechanisms are collectively known as the unfolded protein response (UPR). Accumulating data indicate that a prolonged or excessive beta cell UPR caused by insulin resistance and increased concentrations of NEFA (both secondary to obesity) contribute to beta cell dysfunction and death in type 2 diabetes [2, 3]. There is, however, another, less well-known, side of the UPR that may be of particular relevance for type 1 diabetes, namely, the cross-talk between the UPR and innate immunity [4, 5]. This dialogue, which may contribute to the upregulation of local inflammatory processes and the triggering/amplification of insulitis, is the focus of the present review. Non-immune cells have mechanisms to recognise challenges such as viral infections or non-lethal injury and to transmit this information, leading to local inflammation and, in some cases, adaptive immunity. Pancreatic beta cells trigger several key downstream inflammatory pathways in response to ‘danger signals’, including activation of Toll- and RIG-like receptors, the transcription factors signal transducer and activator of transcription 1 (STAT-1) and nuclear factor κB (NF-κB) and the mitogen-activated protein kinases c-Jun N-terminal kinase (JNK), p38 and extracellular signal-regulated kinase (ERK), leading to the release of chemokines and cytokines . As will be discussed below, the UPR may be a key translator of metabolic and other beta cell stresses into inflammatory responses. The ER is an organelle involved in the synthesis, folding and maturation of secreted and membrane proteins, and is also an important checkpoint for signal transduction [3, 5]. When the demand for protein synthesis and folding overwhelms ER capacity, or when specific components of the folding process are hampered, the organelle initiates the UPR. The UPR aims to restore ER homeostasis by (1) decreasing the load of proteins in the ER via translational attenuation; (2) increasing the transcription of chaperones and other proteins involved in the folding and maturation of protein; and (3) inducing the degradation of the misfolded proteins via the ER-associated degradation (ERAD) complex. If this fails, apoptosis is eventually triggered [2, 7]. The UPR responses are mediated by the activation of three ER transmembrane proteins that ‘diagnose’ the folding state of proteins inside the organelle and convey the information to the nucleus and the cytosol, where the ‘ER therapy’ is prescribed. These proteins are activating transcription factor 6 (ATF6), PKR-like ER kinase (PERK) and inositol-requiring 1 (IRE1). Under non-stressed conditions the luminal domains of ATF6, PERK and IRE1 are associated with the chaperone immunoglobulin heavy chain binding protein (BiP), keeping them inactive. When misfolded proteins accumulate in the ER, BiP preferentially binds to them in an attempt to restore their correct folding state, allowing activation of the ATF6, PERK and IRE1 pathways [2, 7] (Fig. 1). ATF6 translocates from the ER to the Golgi, where it is cleaved; it then translocates to the nucleus, where it modulates the expression of genes encoding chaperones such as BiP [5, 7]. PERK undergoes oligomerisation and auto-phosphorylation and then phosphorylates and inhibits eukaryotic translation initiation factor 2 (eIF2) [7, 8]. This causes a global decrease in mRNA translation, while paradoxically inducing the translation of mRNAs containing short upstream open reading frames in their 5′ untranslated region, such as ATF4. ATF4 modulates the expression of ATF3, C/EBP homologous protein (CHOP) and tribbles homologue 3 (TRB3) . CHOP induces the expression of the growth arrest and DNA damage-inducible protein (GADD34), which, in turn, activates protein phosphatase 1 (PP1), leading to dephosphorylation of eIF2. CHOP is also an important mediator of apoptosis during ER stress [2, 3]. Activation of IRE1 leads to its oligomerisation and trans-autophosphorylation. The cytosolic domain of IRE1 has both kinase and endoribonuclease activities, and splices an intron-like portion of the X-box binding protein-1 (XBP1) mRNA, causing the excision of 26 nucleotides and a shift in the reading frame [5, 8]. The spliced form, XBP1s, is a transcription factor that regulates genes involved in protein folding, maturation, quality control and protein degradation via ERAD [2, 7]. The ER also senses and responds to inflammatory signals [5, 9]. Several autoimmune/inflammatory diseases such as inflammatory bowel disease, rheumatoid arthritis, neurodegenerative and neuromuscular inflammatory diseases and diabetes lead to activation of the UPR in affected tissues [10, 11]. There is evidence of ongoing UPR in the pancreatic islets of type 1 diabetic patients , in intestinal cells from patients affected by ulcerative colitis or Crohn’s disease and in synovial tissues from patients with rheumatoid arthritis . In experimental models, lipopolysaccharide (LPS)-induced inflammation in lung, kidney, liver and spleen or viral infections (which causes enhanced viral protein production that overloads the ER) trigger the UPR, while injection of IL-6 or IL-1β in mice induces expression of Bip, Chop and Xbp1s in liver [5, 9]. Besides responding to inflammation, the UPR also acts as a trigger/amplifier of the inflammatory response. For instance, some single-nucleotide polymorphisms in the XBP1 gene are associated with an increased risk of inflammatory bowel disease in humans, and deletion of XBP1 in mouse intestinal epithelial cells contributes to intestinal inflammation via augmented signalling in the other UPR pathways. The lack of XBP1 sensitises intestinal cells to flagellin- and TNF-induced responses, enhancing JNK activation and the expression of chemokines . Metabolic tissues of obese individuals show a mild and chronic inflammation, and it has been suggested that metabolically responsive cells react to an excess inflow of nutrients and energy by producing stress signals—including components of the UPR—that trigger inflammation [4, 11]. The UPR may thus provide a link between obesity and inflammation in responsive tissues [4, 11]. In line with this hypothesis, exposure of human pancreatic cells to the saturated NEFA palmitate induces ER stress, NF-κB activation and upregulation of IL-1β (also known as IL1B), TNF, IL-6 (also known as IL6), IL-8 (also known as IL8), CCL2 and CXCL1 expression . Moreover, CHOP deletion decreases the induction of inflammation caused by excessive fat accumulation in liver and fat and, importantly, prevents insulin resistance . Under some experimental conditions, however, prolonged low-degree ER stress prevents inflammation. Thus, preconditioning human endothelial retinal cells with a low-dose ER stressor protects against TNF-induced NF-κB activation and expression of its target genes, which encode intercellular adhesion molecule 1 and vascular cell adhesion molecule 1 , while the ER stressors thapsigargin and tunicamycin lead to preferential expression of C/EBPβ (also known as CEBPB) in mesangial cells via the PERK and IRE1 pathways, counteracting the proinflammatory response after LPS-stimulated NF-κB activation . This is in good agreement with the concept of hormesis, whereby exposure of cells or tissues to low levels of stressful agents induces resistance to subsequent exposure to high concentrations of the deleterious agent . The cross-talk between the UPR and inflammation is not uniform. For example, inflammatory signals generated by TLR activation in macrophages activate IRE1/XBP1s but not ATF6 . On the other hand, ER stress may potentiate some but not all components of the inflammatory signal. For instance, chemical-induced ER stress in beta cells potentiates IL-1β- but not TNF-induced NF-κB activation and downstream proinflammatory genes . This, together with the fact that induction of inflammation and UPR are asynchronous, with different branches peaking and/or returning to baseline at different time points , may explain the context- and tissue-dependent outcome of the cross-talk between the UPR and inflammation. The first indication that ER stress contributes to beta cell death was the observation that a chemical nitric oxide (NO) donor causes ER Ca2+ depletion, Chop induction and apoptosis in mouse MIN-6 cells . It was subsequently shown that IL-1β + IFN-γ, two proinflammatory cytokines produced during insulitis, cause ER Ca2+ depletion and apoptosis in rat beta cells and INS-1E cells. This was due to inhibition of the sarco/endoplasmic reticulum Ca2+ pump 2 (SERCA-2b) via NO production . SERCA-2b pumps Ca2+ into the ER, and chemical inhibition of this pump by thapsigargin or cyclopiazonic acid (CPA) also induced ER Ca2+ depletion, ER stress and apoptosis in beta cells [21, 22]. The UPR induction by IL-1β + IFN-γ was only partial, with a strong activation of the PERK branch of the UPR (eIF2-α phosphorylation, Chop and Atf4 induction) and Xbp1 splicing, but no ATF6/Bip activation [22, 23, 24]. The mediators of cytokine-induced ER stress in pancreatic beta cells seem to be species-specific. Thus, there is a major role for NO in rat beta cells  while IL-1β + TNF + IFN-γ induces downregulation of the SERCA-2b pump, XBP1 splicing and PERK/eIF2α phosphorylation in mouse islets or MIN6 cells independently of NO production . In human islets the combination of cytokines TNF + IFN-γ induces a more marked ER stress than IL-1β + IFN-γ, as indicated by XBP1 splicing, CHOP and BiP expression . IL-1β + IFN-γ induces a nearly 20-fold increase in NO production by human islets, while TNF + IFN-γ increases the radical formation by only two- to threefold [26, 27]. Thus, the mechanism for cytokine-induction of ER stress in human islets is to a large extent independent of NO production. The nature of this NO-independent mechanism(s) remain to be clarified, but it is of interest that the NEFA palmitate also causes SERCA-2b inhibition, ER stress and beta cell apoptosis independently of NO formation . Different proinflammatory cytokines seem to preferentially affect different branches of the UPR in beta cells. Thus, while IL-1β induces Xbp1 splicing and PERK/eIF2α phosphorylation , IFN-γ decreases expression of Xbp1s, Bip and several other ER chaperones downstream of ATF6/XBP1s, sensitizing beta cells to apoptosis induced by chemical ER stressors or IL-1β . In line with these findings, inhibition of the ATF6 pathway in vivo accelerates diabetes in NOD mice . Of note, ATF6 plays a supportive role for beta cell survival even in the absence of ER stress . Initial in vivo observations provided conflicting results regarding presence of UPR markers in islets from diabetic patients or animal models of the disease [32, 33], raising the possibility that the field was dealing with the Confucian ‘cat problem’, namely: ‘The hardest thing of all is to find a black cat in a dark room, especially if there is no cat.’ Two recent studies, however, provided strong evidence that markers of the UPR are indeed present in inflamed islets in vivo. The first showed swollen ER (a hallmark of ER stress) and increased expression of Bip, Xbp1s and Chop mRNAs in islets from pre-diabetic NOD mice (6–10 weeks old) as compared to control mice . The second used an unbiased and quantitative approach to evaluate the presence of ER stress markers in pancreatic sections of 13 individuals with type 1 diabetes and 15 controls. There was increased islet expression of CHOP and, in the case of insulitis-positive islets, BiP in type 1 diabetes patients. XBP1 expression, however, was not increased . These results suggest that inflamed islet cells from type 1 diabetes individuals have a partial ER stress response, which is reminiscent of that described in purified beta cells exposed to proinflammatory cytokines in vitro [2, 22]. ER stress contributes to both apoptosis and inflammation in beta cells. Thus, insulin-producing NIT-1 cells overexpressing BiP have reduced Chop induction and are partially protected against apoptosis induced by IL-1β + IFN-γ or cytotoxic T lymphocytes . Overexpression of calreticulin, an ER chaperone that binds to Ca2+, increases the ER Ca2+ content, decreases Chop expression and protects MIN6 cells against NO-mediated apoptosis . CHOP knockdown by siRNA protects INS1 and INS1-E cells, rat beta cells and human islets against apoptosis induced by proinflammatory cytokines [25, 36]. The protection elicited by CHOP knockdown is partial and transitory. The UPR triggers beta cell apoptosis via activation of the intrinsic (mitochondrial) pathway of apoptosis in CHOP-dependent and independent ways, which may explain why CHOP knockdown provides only partial protection. The pathways involved in ER stress-induced apoptosis were recently reviewed [37, 38] and will not be further discussed here. Backcrossing NOD mice with Chop knockout mice did not prevent diabetes , while Chop mice were protected against multiple low dose streptozotocin-induced diabetes . Studies of diabetes in Chop knockout mice are difficult to interpret, since these mice are often obese . 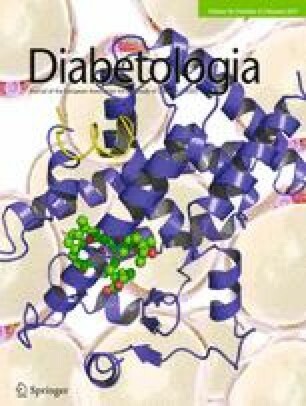 Preliminary observations in diabetes-prone NOD mice indicate that administration of a chemical chaperone, tauroursodeoxycholic acid, reduces diabetes incidence, improves survival and morphology of beta cells and reduces beta cell apoptosis . Interpretation of these findings is, however, complicated by the multiple effects of tauroursodeoxycholic acid. It is important to keep in mind that prevention of beta cell loss in early type 1 diabetes will require multiple and complementary approaches, that the UPR pathways are essential for beta cell function and survival (and thus difficult to interfere with) and that inflammation-induced UPR is heterogeneous (see above). Thus, modulation of ER stress to protect beta cells in type 1 diabetes will need to be coupled to approaches aiming to restore immune tolerance and will need to take into careful account the ‘cost-benefit’ involved in interfering with the UPR in a highly secretory cell such as the beta cell. The transcription factor NF-κB regulates many inflammatory responses in beta cells, including the expression of several chemokines and cytokines, and its activation contributes to development of diabetes in mice . NF-κB is activated by a variety of stimuli, including proinflammatory cytokines (IL-1β, TNF), TLRs and the UPR . Exposure of human islets to the saturated NEFA palmitate or the SERCA-2 blockers CPA and thapsigargin causes ER stress and mild proinflammatory chemokine and cytokine expression . In line with these observations, thapsigargin triggers sterile production of IL-6 by fibroblasts and sensitises them to LPS-induced expression of Il-1β, Il-12, Il-23 and Tnf . This proinflammatory response is not observed when fibroblasts  or beta cells (Fig. 2A) are exposed to tunicamycin, an agent that triggers the UPR by inhibiting protein glycosylation. This suggests that not all triggers of the UPR lead to inflammation and underlies the importance of ER Ca2+ depletion in the cross-talk between UPR and inflammation. Pre-treatment of pancreatic beta cells with the ER stressor CPA or with the NEFA oleate and palmitate sensitises them to the proinflammatory effects of a low-dose of IL-1β, leading to increased NF-κB activation and expression of chemokines (Fig. 2)  and the cytokine Il-1β (M. Miani, D.L. Eizirik, unpublished data). This cross-talk is mediated by the IRE1/XBP1 branch of the UPR, since knockdown of XBP1 or IRE1 abrogates this increased inflammatory response (Fig. 2). XBP1 knockdown prevents the degradation of forkhead box O1 (FOXO1) . XBP1s regulates other transcription factors: upon glucose stimulation of mouse embryonic fibroblasts it directly binds FOXO1 and induces its degradation in the proteasome . XBP1s-induced FOXO1 degradation has also been described in neurons  and pancreatic beta cells . Knockdown of FOXO1 augments NF-κB activation and the consequent expression of inflammatory genes, suggesting that FOXO1 acts as a negative regulator of NF-κB. Its degradation may thus provide the link between UPR-mediated IRE1/XBP1s activation and increased inflammation  (Fig. 3). Cytokine-induced UPR in beta cells is usually detected after 6–8 h [22, 45], while NF-κB is already activated at 30 min and remains activated for at least 48 h . CHOP knockdown mitigates IL-1β+IFN-γ-induced and TNF+IFN-γ-induced IκBα degradation and thus decreases NF-κB activation in INS-1E cells. CHOP knockdown also decreases expression of iNos and Fas, the chemokines Ccl5, Cxcl10 and the cytokine Il-15, secondary to inhibition of NF-κB and interferon-regulatory factor-7 . Thus, CHOP may contribute to the chemoattraction of mononuclear cells to the islets during insulitis by augmenting/prolonging NF-κB activation (Fig. 3). The proinflammatory effect of CHOP in beta cells may require a second signal, provided by cytokines, since CHOP induction by CPA does not amplify NF-κB activation stimulated by a low concentration of IL-1β. The role of CHOP in inflammatory responses (including chemokine and cytokine production) has been observed in different disease models, including myocardial inflammation , lung damage induced by LPS , inflammatory bowel disease  and obesity . The major histocompatibility complex is assembled in the ER, and IFN-γ-mediated expression of components of the antigen processing machinery might contribute to the ER overload. This, together with the cytokine-induced accumulation of misfolded proteins and changes in alternative splicing, may lead to the presentation of new beta cell antigens to the immune system [6, 50]. In addition, ER Ca2+ depletion leads to failure of ER retention mechanisms for several ER-resident proteins (e.g. BiP, calreticulin), leading to their secretion and membrane expression . Surface expression of chaperones can induce pro- or anti-inflammatory responses depending on the protein and cellular context [42, 51]. Recent evidence suggests that thioredoxin-interacting protein (TXNIP) is another critical link between ER stress and inflammation in beta cells. TXNIP is activated by ER stressors via the PERK and IRE1 pathways and triggers IL-1β production via the NLR family, pyrin domain containing 3 (NLRP3) inflammasome, contributing to local inflammation [52, 53] and cell death following exposure to thapsigargin . Although TXNIP–IL-1β may indeed contribute to ER stress-mediated inflammation, it is less clear whether it contributes to ER stress-mediated apoptosis following exposure to palmitate. Thus, TXNIP-deficient mouse islets are not protected against palmitate-induced apoptosis  and use of an IL-1 receptor antagonist prevents palmitate-induced chemokine and cytokine production but not apoptosis in human islet cells . Further experiments are required to clarify this issue. Obesity results in a low-grade and chronic inflammatory state as beta cells and other metabolic cells respond to an excess inflow of nutrients and energy by stress signals that trigger inflammation. As discussed above, ER stress is both cause and consequence of this metabolically induced inflammation. If, on top of this low-grade inflammation and UPR, another proinflammatory signal is added, such as a viral infection and consequent production of cytokines in the islets, this may lead to a several-fold amplification of the beta cell inflammatory response, with accrued production of chemokines and cytokines and increased ER stress and apoptosis  (M. Miani, D.L. Eizirik, unpublished results). In genetically susceptible individuals, this may lead to more immune cell infiltration and activation, and an eventual transition to a full adaptive immune response . If this hypothesis is correct, it may explain the parallel increase in the prevalence of childhood obesity and type 1 diabetes  and the predisposing role for weight gain in early life and insulin resistance in childhood/adolescence for the risk for islet autoimmunity and type 1 diabetes [56, 57]. We outline below some of the areas where future research may help to clarify the role of ER stress and the UPR in islet inflammation. It is hoped that the answer to these and other questions will pave the way for the development of novel therapies aiming to alleviate ER stress and thus protect beta cells in diabetes mellitus. Are there physiological and beneficial effects of ER stress-associated inflammation in beta cells? If they exist, what turns these beneficial effects into deleterious ones? Is beta cell ER stress cause or consequence (or both) of insulitis in early type 1 diabetes? Does it have a pathogenic role, or is it just an epiphenomenon? How do both saturated and unsaturated NEFA augment IL-1β effects in pancreatic beta cells? Why does the UPR increase the proinflammatory effects of IL-1β but not TNF in pancreatic beta cells? How does CHOP contribute to augment inflammation? Is this purely an NF-κB-mediated phenomenon? XBP1s and CHOP seem to play an important role in conveying UPR proinflammatory signals in beta cells and adipocytes. Are there other relevant UPR signals? Are they common to other tissues, or are they context- and tissue-dependent? Does inflammation-induced ER stress lead to presentation of beta cell neoantigens? What is the nature of these antigens? Can life style interventions (i.e. increased physical activity and weight loss) aiming to decrease insulin resistance, circulating NEFA and consequent ER stress on the beta cells delay the outbreak of type 1 diabetes in multiple-autoantibody-positive high-risk individuals? We thank M. Cnop (Laboratory of Experimental Medicine, Medical Faculty, Université Libre de Bruxelles, Belgium) for critical reading of the manuscript and helpful discussions. We apologise for not including citations to additional interesting studies in the field because of space limitations. Work by the authors is supported by the European Union (Collaborative Projects Naimit and BetaBat in the Framework Program 7), Juvenile Diabetes Research International and Actions de Recherche Concertée de la Communauté Française (ARC), the Expert Center Grant 2008.40.001 from the Dutch Diabetes Research Foundation and the Fonds National de la Recherche Scientifique (FNRS), Belgium. AKC is a Research Associate from the FNRS. DLE was responsible for the conception of this review. DLE, MM and AKC were responsible for the design and drafting of the manuscript and approved the final version of the manuscript. DLE takes responsibility for the content of the text.